which constitute it at the time of, or near to, those events. For wider history of Europe during this period, see links below. The European Union is a geo-political entity covering a large portion of the European continent. It is founded upon numerous treaties and has undergone expansions that has taken it from 6 member states to 27, a majority of states in Europe. As distinct from ideas of federation, confederation or customs union the main development in Europe depends on a supranational foundation to make war unthinkable and materially impossible and reinforce democracy enunciated by Robert Schuman and other leaders in the Europe Declaration. The principle was at the heart of the European Coal and Steel Community in the Treaty of Paris , following the "Schuman Declaration" and the later the Treaties of Rome establishing the European Economic Community and the European Atomic Energy Community. Both these bodies are now part of the European Union, which was formed under that name in 1993. Large areas of Europe had previously been unified by empires built on force, such as the Roman Empire, Frankish Empire, Holy Roman Empire, the First French Empire and Nazi Germany. A peaceful means of some consolidation of European territories used to be provided by dynastic unions; less common were country-level unions, such as the Polish-Lithuanian Commonwealth, Austro-Hungarian Empire and the Ottoman Empire. Largely due to the devastating effects of war many people turned to the idea of some form of unified Europe, notably William Penn, Abbot Charles de Saint-Pierre, Victor Hugo, Richard Coudenhove-Kalergi and Giuseppe Mazzini. Such ideas became greater in Western Europe following World War I, with the massive loss of life it entailed, but it was not until after World War II that real steps were taken in Western Europe. The devastating impact of the World Wars did not create such an ideological effect in Russia, perhaps because it adhered to an ideology of its own, that of Communism. An example of an organization formed to promote the association of states between the wars to promote the idea of European Union is the Pan-Europa movement. World War II from 1939 to 1945 saw a human and economic cost which hit Europe hardest. It demonstrated the horrors of war and also of extremism, through the holocaust and the atomic bombings of Hiroshima and Nagasaki, for example. Once again, there was a desire to ensure it could never happen again, particularly with the war giving the world nuclear weapons. The countries of Western Europe failed to maintain their Great power status leaving two rival ideologically opposed superpowers..
With statements such as Winston Churchill's 1946 call for a "United States of Europe" becoming louder, in 1949 the Council of Europe was established as the first pan-European organisation. In the year following, on 9 May 1950, the French Foreign Minister Robert Schuman proposed a community to integrate the coal and steel industries of Europe - these being the two elements necessary to make weapons of war. (See: Schuman declaration). On the basis of that speech, France, Italy, the Benelux countries (Belgium, Netherlands and Luxembourg ) together with West Germany signed the Treaty of Paris creating the European Coal and Steel Community the following year; this took over the role of the International Authority for the Ruhr and lifted some restrictions on German industrial productivity. It gave birth to the first institutions, such as the High Authority (now the European Commission ) and the Common Assembly (now the European Parliament ). The first presidents of those institutions were Jean Monnet and Paul-Henri Spaak respectively. The attempt to turn the Saar protectorate into a "European territory" was rejected by a referendum in 1955. The Saar was to have been governed by a statute supervised by a European Commissioner reporting to the Council of Ministers of the Western European Union. After failed attempts at creating defence (European Defence Community) and political communities (European Political Community), leaders met at the Messina Conference and established the Spaak Committee which produced the Spaak report. The report was accepted at the Venice Conference (29 and 30 May 1956) where the decision was taken to organize an Intergovernmental Conference. The Intergovernmental Conference on the Common Market and Euratom focused on economic unity, leading to the Treaties of Rome being signed in 1957 which established the European Economic Community (EEC) and the European Atomic Energy Community (Euratom) among the members. The two new communities were created separately from ECSC, although they shared the same courts and the Common Assembly. The executives of the new communities were called Commissions, as opposed to the "High Authority". The EEC was headed by Walter Hallstein (Hallstein Commission) and Euratom was headed by Louis Armand (Armand Commission) and then Etienne Hirsch. Euratom would integrate sectors in nuclear energy while the EEC would develop a customs union between members. 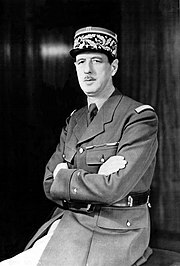 Throughout the 1960s tensions began to show with France seeking to limit supranational power and rejecting the membership of the United Kingdom. However, in 1965 an agreement was reached to merge the three communities under a single set of institutions, and hence the Merger Treaty was signed in Brussels and came into force on 1 July 1967 creating the European Communities. Jean Rey presided over the first merged Commission (Rey Commission). After much negotiation, and following a change in the French Presidency, Denmark, Ireland and the United Kingdom (with Gibraltar ) eventually joined the European Communities on 1 January 1973. This was the first of several enlargements which become a major policy area of the Union (see: Enlargement of the European Union). In 1979, the European Parliament held its first direct elections by universal suffrage (See: History of the European Parliament). 410 members were elected, who then elected the first female President of the European Parliament, Simone Veil. A further enlargement took place in 1981 with Greece joining on 1 January, six years after applying. In 1985, Greenland voted to leave the Community after gaining home rule from Denmark (See also: EU territories). Spain and Portugal joined (having applied in 1977) on 1 January 1986 in the third enlargement. Recently appointed Commission President Jacques Delors (Delors Commission) presided over the adoption of the European flag by the Communities in 1986. In the first major revision of the treaties since the Merger Treaty, leaders signed the Single European Act in February 1986. The text dealt with institutional reform, including extension of community powers - in particular in regarding foreign policy. It was a major component in completing the single market and came into force on 1 July 1987. In 1987 Turkey formally applied to join the Community and began the longest application process for any country. In 1989, following upheavals in Eastern Europe, the Berlin Wall fell, along with the Iron curtain. Germany reunified and the door to enlargement to the former eastern bloc was opened (See also: Copenhagen Criteria). With a wave of new enlargements on the way, the Maastricht Treaty was signed on 7 February 1992 which established the European Union when it came into force the following year. On 1 November 1993, under the third Delors Commission, the Maastricht Treaty (Treaty on the European Union) became effective, creating the European Union with its pillar system including foreign and home affairs alongside the European Community. The 1994 European elections were held resulting in the Socialist group maintaining their position as the largest party in Parliament. The Council proposed Jacques Santer as Commission President but was seen as a second choice candidate, undermining his position. Parliament narrowly approved Santer but his commission gained greater support being approved by 416 votes to 103, Santer had use his new powers under Maastricht to flex greater control over his choice of Commissioners. They took office on 23 January 1995. On 30 March 1994, accession negotiations concluded with Austria , Sweden , Finland and Norway . Each country held a referendum on membership which resulted in a majority in all but Norway, which hence stayed out of the EU. However, Norway did participate with Iceland and Liechtenstein in the European Economic Association (entered into force on 1 January 1994), which allowed European Free Trade Association states to enter the Single European Market, created in 1993. Switzerland had planned to join but membership was rejected in a national referendum. The following year, the Schengen Agreement would come into force between seven members, expanding to include nearly all others by the end of 1996. The 1990s also saw the further development of the euro. The 1 January 1994 saw the second stage of EMU begin with the establishment of the European Monetary Institute and at the break of 1999 the euro as a currency was launched and the European Central Bank was established. On 1 January 2002 notes and coins were put into circulation, replacing the old currencies entirely. During the 90s, the development EU's Common Foreign and Security Policy (CFSP) was given a strong impetus by the conflicts in the Balkans. The EU failed to react during the beginning of the conflict, and UN peacekeepers from the Netherlands failed to prevent the Srebrenica massacre (July 1995) in Bosnia and Herzegovina , the largest mass murder in Europe since the second world war. The North Atlantic Treaty Organization (NATO) finally had to intervene in the war, forcing the combatants to the negotiation table. On 24 March 1999, the situation on Kosovo led to an EU CFSP declaration on Kosovo and prompted a NATO intervention in Kosovo and Serbia . While there was greater EU involvement in the Kosovo conflict than in the Bosnian conflict, the failure of the EU to prevent the conflicts in former Yugoslavia, or to bring them to a quick close, heightened the desire for greater EU effectiveness in foreign affairs. The early foreign policy experience of the EU led to it being emphasised in the Treaty of Amsterdam (which created the High Representative), which entered into force on 1 May 1999, and the 1997 declaration by Western European Union leaders on that organisation's role with the EU and NATO. In response, the Nice Treaty strengthened the High Representative and foreign policy cooperation. However, any success was overshadowed by the budget crisis in March 1999. The Parliament refused to approve the Commission's 1996 community's budget on grounds of financial mismanagement, fraud and nepotism. Parliament established a committee to examine the situation, the results of which were published on 15 March 1999 and were highly critical of the Commission. The Socialists, the only major party supporting the executive, withdrew its support from Santer and, with Parliament ready to throw them out, the entire Santer Commission resigned the same evening of the report's publication.. The crisis severely damaged the Commission's position in the face of global crises such as Kosovo and the other institutions, with the Council increasingly distrustful of the Commission. The post-Delors mood of euroscepticism became entrenched with the Council and Parliament constantly challenging the Commission's position in coming years. In response, the anti-fraud watchdog OLAF was rapidly established by the following Commission. In the following elections, the Socialists lost their decades old majority to the new People's Party and the incoming Prodi Commission was quick to establish the new anti-fraud body OLAF. Under the new powers of the Amsterdam Treaty, Prodi was described by some as the 'First Prime Minister of Europe'. On 4 June, Javier Solana was appointed Secretary General of the Council and the strengthened High Representative for the Common Foreign and Security Policy admitted the intervention in Kosovo - Solana was also seen by some as Europe's first Foreign Minister. The Nice Treaty was signed on 26 February 2001 and came into force on 1 February 2003 while the European Convention began drafting the European Constitution. The Nice Treaty made the final preparations before the 2004 enlargement to 10 new members. Enlargement of the Union from 1993 onwards. On the 10-13 June 2004, the 25 member states participated in the largest trans-national election in history (with the second largest democratic electorate in the world). The result of the sixth Parliamentary election was a second victory for the European People's Party-European Democrats group. It also saw the lowest voter turnout of 45.5%, the second time it had fallen below 50%. On 22 July 2004, José Manuel Barroso was approved by the new Parliament as the next Commission President. However his new team of 25 Commissioners faced a tougher road. With Parliament raising objections to a number of his candidates he was forced to withdraw his selection and try once more. The Prodi Commission had to extend their mandate to the 22 November after the new line up of Commissioners was finally approved. A proposed constitutional treaty was signed by plenipotentiaries from EU member states on 28 October 2004. The document was ratified in most member states, including two positive referendums. The referendums that were held in France and the Netherlands failed however, something which halted ratification and lead to a "period of reflection" regarding EU institutional reform. In 2007 the leaders formally ended this period and signed the Berlin Declaration on 25 March 2007 (which was the 50th anniversary of the Treaties of Rome). The declaration was intended to give a new impetus to finding a new institutional settlement. Later in the year the European Council agreed that the constitution proposal would be abandoned, but most of its changes would be retained in an amending treaty. On 13 December 2007 the treaty was signed, christened the Treaty of Lisbon, and, after ratification in all member states comes into operation on 1 December 2009. The first President of the European Council to be appointed under its terms was Herman Van Rompuy. In 2007, the fifth enlargement completed with the accession of Romania and Bulgaria on 1 January. 53 MEPs joined the Parliament along with two Commissioners, for which two new posts were created in the Commission. The post created for the Romanian Commissioner was Multilingualism, which was criticised by some for its narrow scope. On the same day, Slovenia adopted the euro, after other candidates such as Lithuania were turned down due to inflation. Malta and Cyprus adopted the euro on 1 January 2008. Slovakia became the Eurozone's sixteenth member the 1 January 2009.